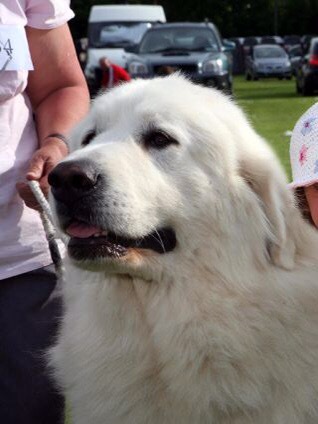 The male Pyrenean mountain dog, which was wearing a leather collar, was taken in the Dalton area on Sunday, 30th July 2017. Police said the woman responsible is white, around 5ft 5ins in height, and is heavily built with black shoulder-length hair. She is believed to be local. Anyone with information is asked to call police on 101 and ask to speak to PC Newsham or call Crimestoppers anonymously on 0800 555 111.